The ability to stay calm and centered during times of stress is a desirable skill to possess; it is especially important during an illness such as cancer. Richard Parker, an eleven-year cancer survivor, will present a meditation workshop series designed for cancer patients and survivors, both in and out of treatment. 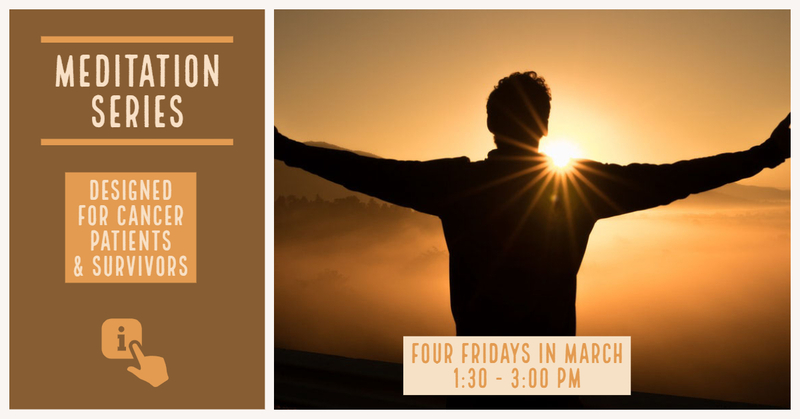 This series will take place on Fridays, March 1, 8, 15 and 29, 2019 from 1:30 -3:00 pm, and be held at Destination Health at 53 Main Street in Bar Harbor and is free and open to all. If you have questions or to register, please call the Beth Wright Center at 664-0339.